Well thank God he did! 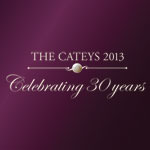 Celebrating 30 years of exceptional talent within the catering industry, the Cateys are recognised as the definitive Hotel and Catering awards. Gathering together the cream of Britain’s hospitality industry, Design Restaurants was there in the Great Room to pay tribute to the winners and commiserate with the losers. 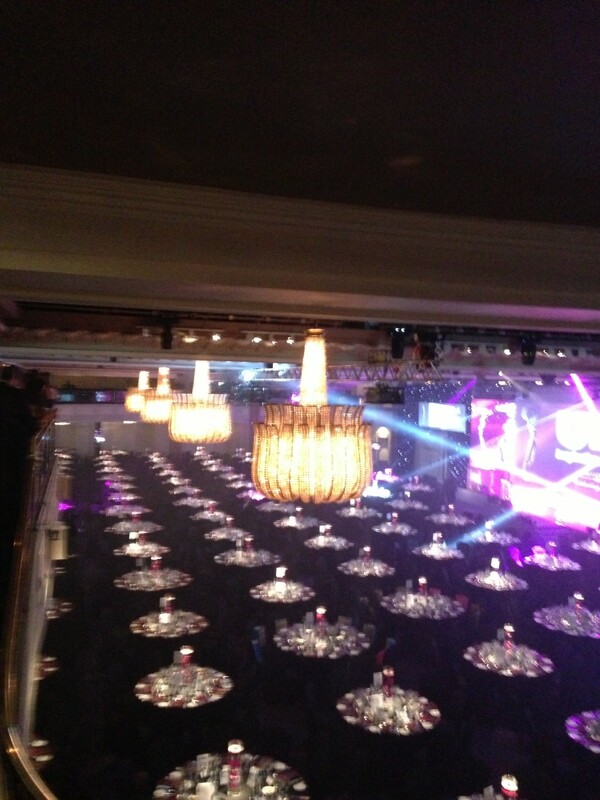 The food was provided by 2012 Chef Award winner Jason Atherton in conjunction with Grosvenor House. Unfortunately, due to dreadful traffic issues, your reporter missed the first course and was so out of sorts by the time she arrived that food was a blur and wine was more necessary to calm shredded nerves! Popular winners on the night were The Pig at Brockenhurst – winner of Best Independent Hotel. Robin Hutson has that deft ability of plugging into what todays well-heeled hotel users need to relax right now. His combination of “thrown together rustic chic” and a menu which is “literally picked this morning”, concept looks set to roll out successfully across the country in the same way Hotel du Vin did. Hotel of the Year Group was an exceptional shortlist featuring both Gidleigh Park and Jumeirah Carlton Tower, but it was the intimate and luxurious Hotel 41 which won in the end for Red Carnation Hotels. Menu of the Year went to urban inspired Sticky Walnut in Chester. Newcomer Award was won by Ollie Dabbous of Dabbous London who has been increasingly mentioned by leading critics this year with Fay Maschler hailing it as “one of those restaurants that comes along and changes the game”. The most prestigious and awaited for award of the night, Chef Award was a two horse race between Tom Kerridge of The Hand and Flowers and Simon Rogan of L’Enclume. Both extremely worthy choices it was Simon Rogan who pipped it on the night called, by Good Food Guide Editor, Elizabeth Carter, “an astonishing chef”. The Special Award was won by the now living legend Michel Roux Jr, celebrating a person who has not only excelled as a chef in his own right but has also been instrumental in advancing the industry as a whole through his work. Lifetime Achievement Award went to the industry wide respected and uber maitres d’, the eponymous Silvano Giraldin who steered the front of house at La Gavroche so elegantly for 37 years. A special mention to the lovely Mr and Mrs Stephen Moss who graced our table charmingly and lent the ink with which winners names were hastily scrawled. Mr Moss is Chairman of The Springboard Charity, www.springboard.uk.net. We like to leave you with a funny story. This one involves our Managing Director Tessa Shreeve, who was talking with the charming Liz Smith-Mills of Liz Smith-Mills Consulting Services and the ever-inspirational Carolyn Pearson Managing Director of Maiden Voyage who wanted their pictures taking together. 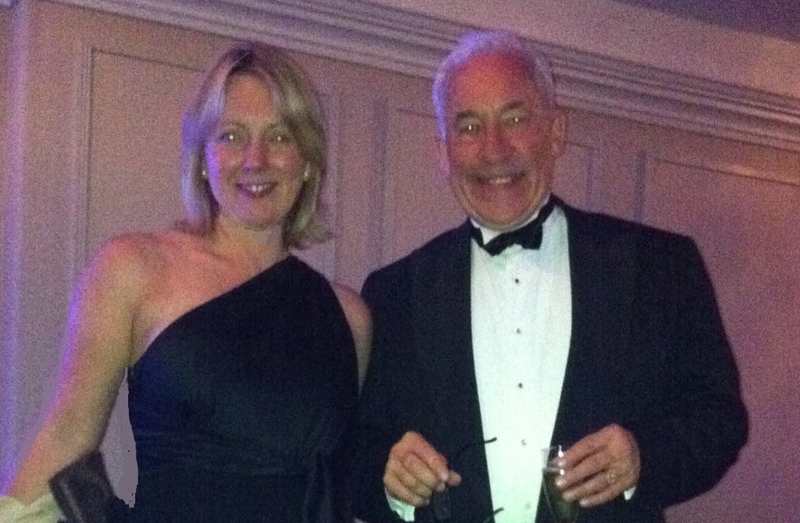 Turning to find someone to oblige Carolyn handed her camera to no other than host of the night, Simon Callow! After initial confusion from him as to who was the subject of the photo, he graciously obliged, and the deed was corrected by Tessa who was more than happy to be snapped with Mr Callow herself. Any copies of ‘Four Weddings and a Funeral’ are kindly requested to be sent to Carolyn. For the full list of winners go to the official Caterer and Hotelkeeper website here. Design Restaurants is an online luxury restaurant guide and dining club. For more details please go to www.designrestaurants.com.